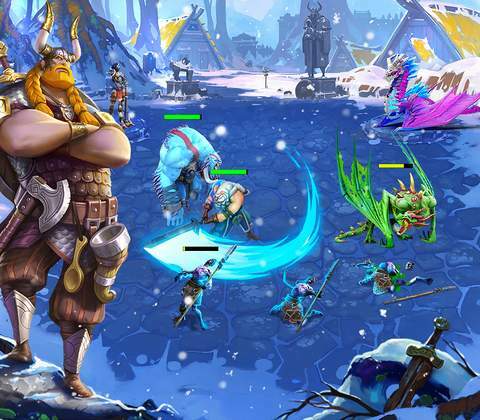 Humoristic strategy browser game - Nords: Heroes of the North is a fantasy MMO strategy game in your browser, with a little something for everyone. Nords begins by introducing you to Bjorn, the game’s comedic relief and one of few redeeming qualities. 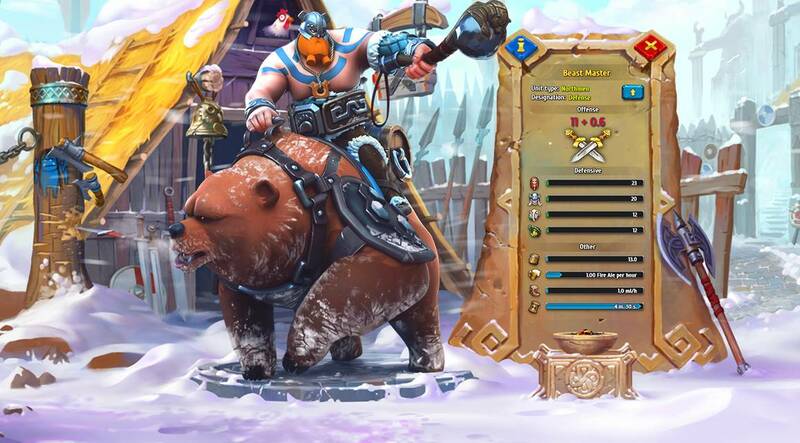 Voiced by Patrick Warburton of “Family Guy” fame, Bjorn’s self-important commentary consistently makes me chuckle, and his in game splash art is beautifully done. Which brings me to my first point. The art in this game is beautiful. Everything, from the Champion art to the load screens, is extremely well done. That aside Bjorn then introduces you to his Aide who does most of the system explanation. 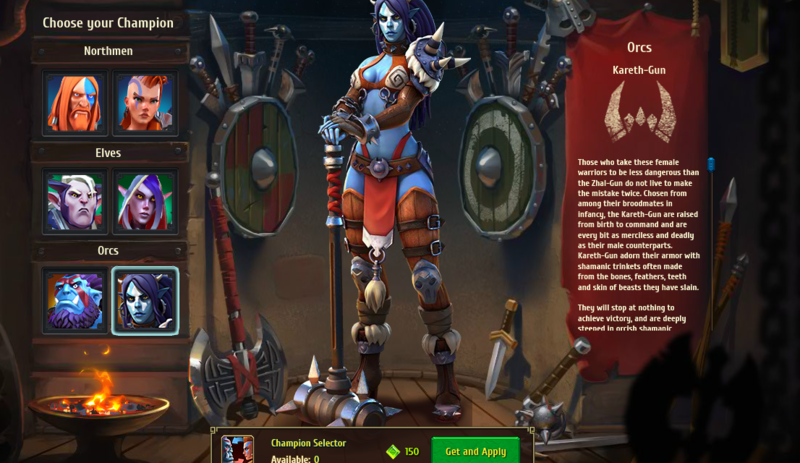 The aide allows you to choose a Champion for your keep. 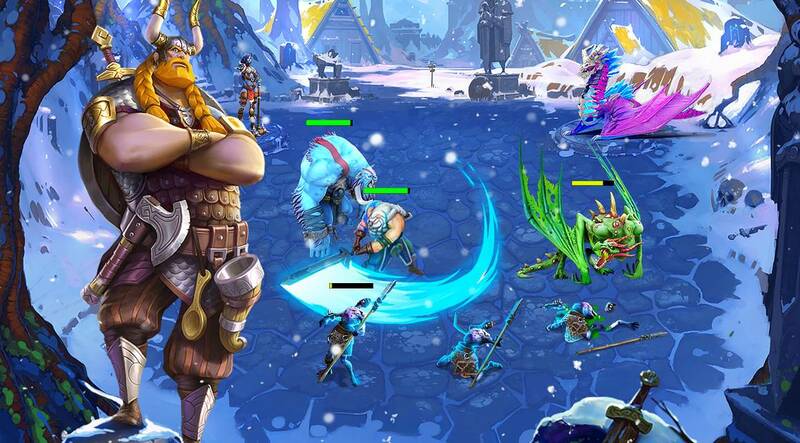 You may have your pick between three different races, Northmen, Orcs, and Elves. Your choice seems to affect the visual aesthetic of your keep, but not much else. This aspect of the game is another one of the things it does right, it provides sufficient variation between Keeps and gathering equipment for your Champion is a genuinely entertaining aspect of the game. Here's how our city will look like after a few hours in Nords. 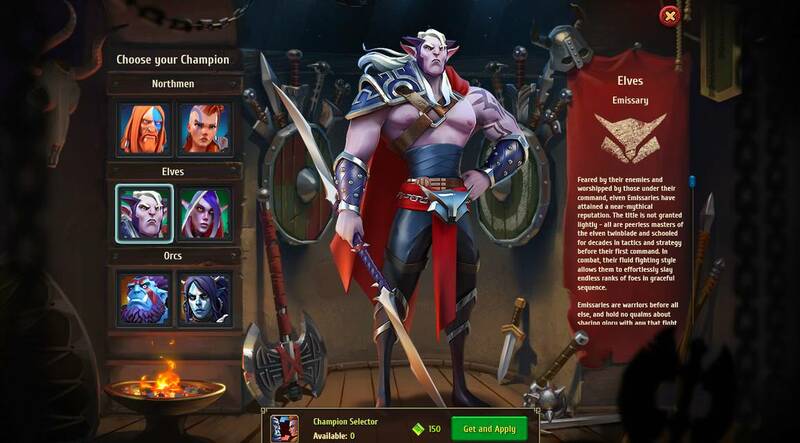 After selecting your champion you are exposed to the meet of the tutorial, which is… extensive to say the least. Gathering equipment for your Champion is a genuinely entertaining aspect of the game. 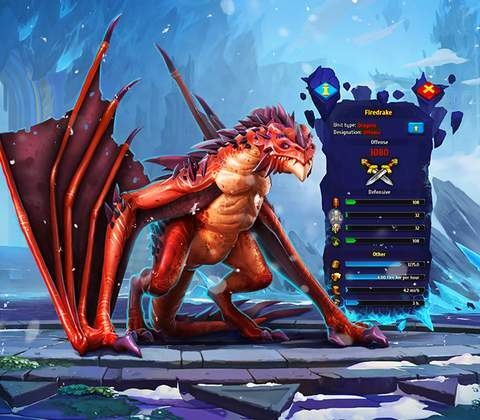 57 quests to be exact, most of which have you clicking on the “recommended” option and automatically completing them without much player input. Even with this automated feature the tutorial alone will take a good hour and a half of your time.... which seems to be my sole issue with the game: it’s an enormous time sink, which isn't necessarily a bad thing depending on your point of view. 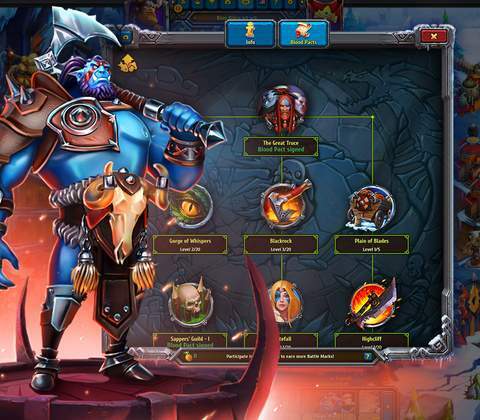 Like most modern browser strategy games everything you build in your Keep takes an exorbitant amount of time, of course this can be eschewed by utilizing the game's premium currency. Most of this time will be sent managing the games three resources, Fire Ale, Mushrooms, and Fish. This trifecta of resources will be required to build or buy most everything. Creating defenses, signing Blood Pacts, building storehouse to store more Fire Ale, Mushrooms, and Fish, everything requires them. New units can be "researched" through blood pacts. Speaking of Blood Pacts, this is the game’s system of acquiring new units for your armies. Units come in two different forms Defensive and Offensive. 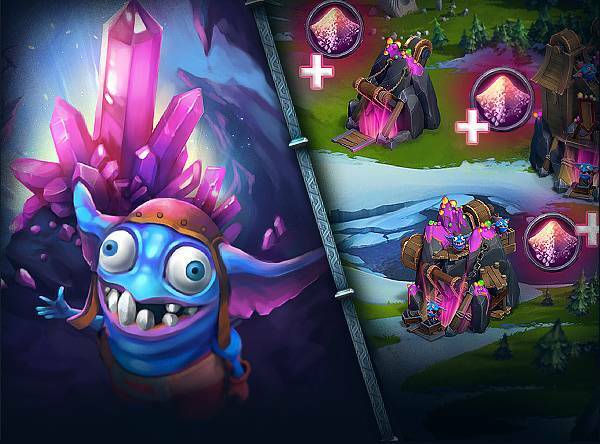 Your Defensive units will be used to, you guessed it, defend your Keep. 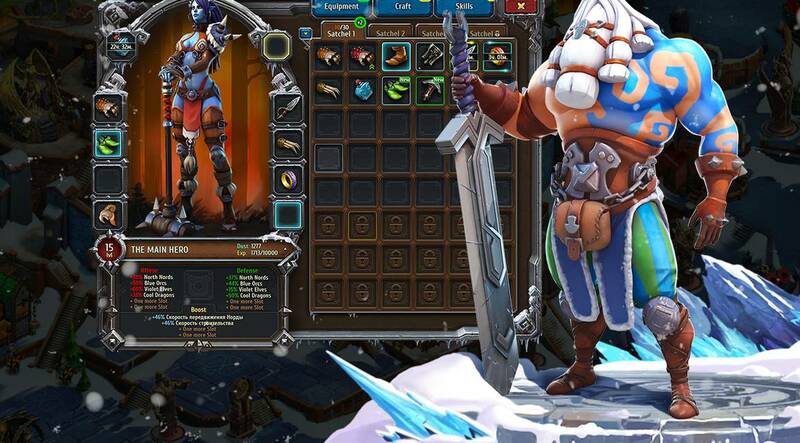 The offensive units are used to assault monsters in the wild and siege your fellow Lord Marshalls’ property. 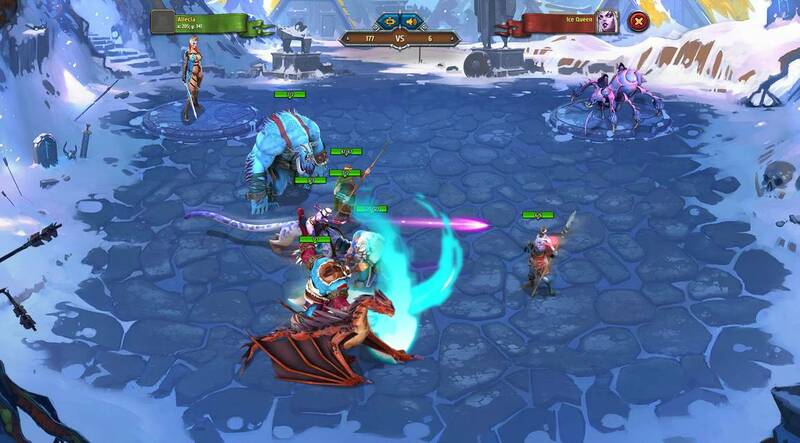 The tutorial will then have you defeat some of the Ice Queen’s forces which serve as the game’s PvE elements. All of the game's combat is completely passive. The player does nothing but watch their forces wail on enemies. The units on screen are all a bit fuzzy, like they have a lower resolution than the background. The visual and sound effects for attacks however, are well done and make for a satisfying combat experience. 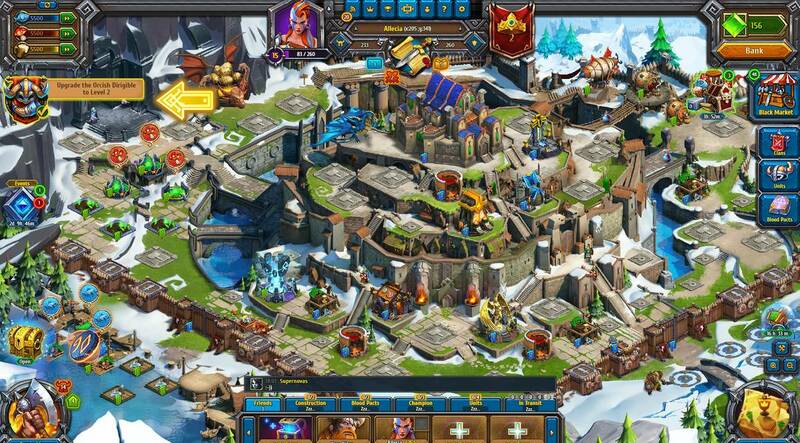 The aspect of building units, is pretty much the same as other – similar – games such as Game of War or Clash of Clans. It boils down to, unlock and upgrade units with Blood Pacts, build them, send them out to raze other Keeps. It’s far from a revolutionary system, but I still find myself wanting to sign more blood pacts and discover new unique units. The aspect of building units is pretty much the same [...]: unlock and upgrade units with Blood Pacts, build them, send them out to raze other Keeps. The units themselves look and feel unique, again the AAA art of Nords playing a huge role, but I find myself unlocking ones that I forget about and never use again once a better option presents itself. 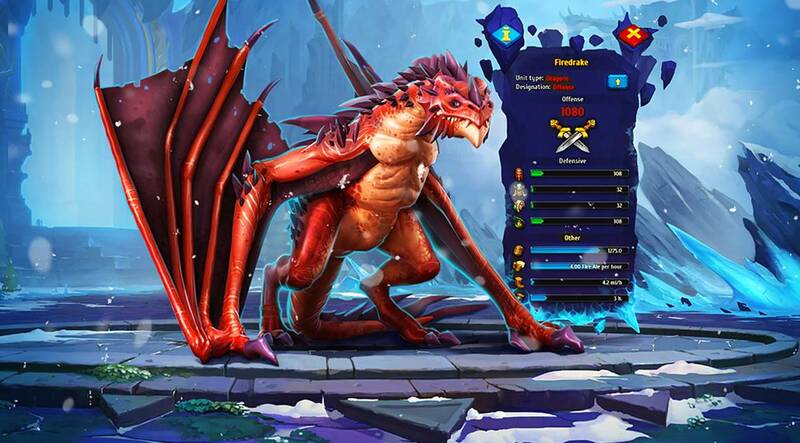 The game unsurprisingly utilizes a cash shop, where you can purchase a variety of boosts and premium items for real money. While I’m personally not a fan of this model, I understand that it has a place in the landscape of modern MMOs. Nords’ version of this shop does not seem overly exploitative either, in fact it's one of the best iterations I've seen, which makes it acceptable. The only qualm I have is needing to purchase keys to unlock chests that contain equipment for your Champion. Yes you are given a few keys free but I quickly ran out, and would have had to purchase more had I wanted to open the loot I had earned. 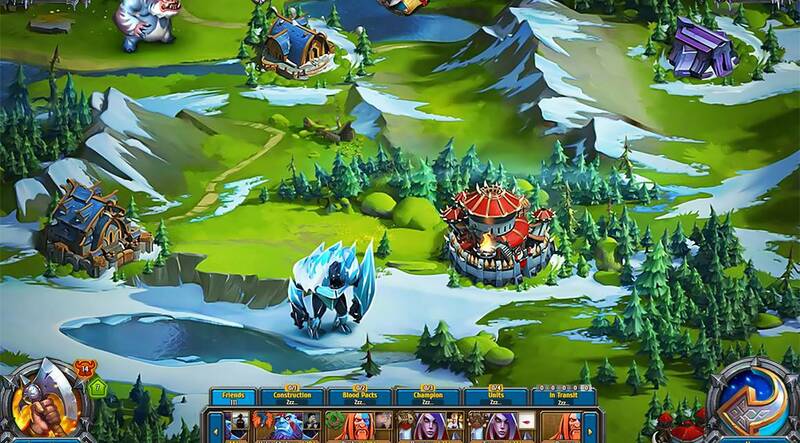 Nords has some of the best art in a browser game to date, this combined with the stellar dialogue and interesting characters makes for a great entry point into the strategy genre. 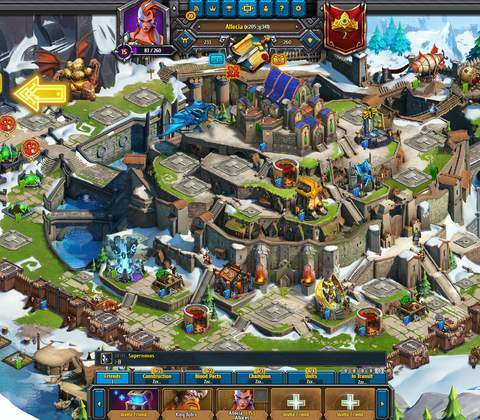 The game's base building and management elements are a solid interpretation of what has come before, and fans of the gametype are sure to enjoy themselves. 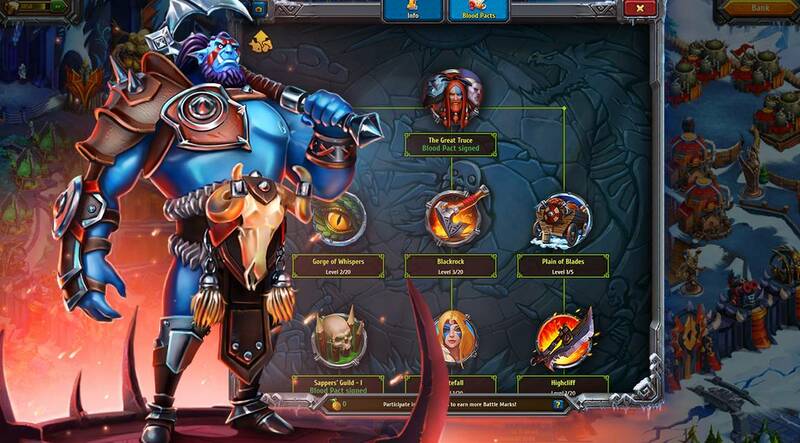 The game's time commitment wasn't for me, but strategy gamers will feel right at home. I recommend anyone looking for a browser RPG with attitude, give Nords a shot. 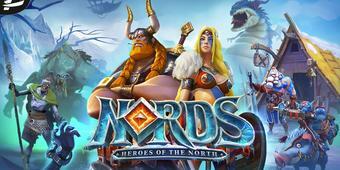 Ready to enter the world of Nords: Heroes of the North? Click here to play now! 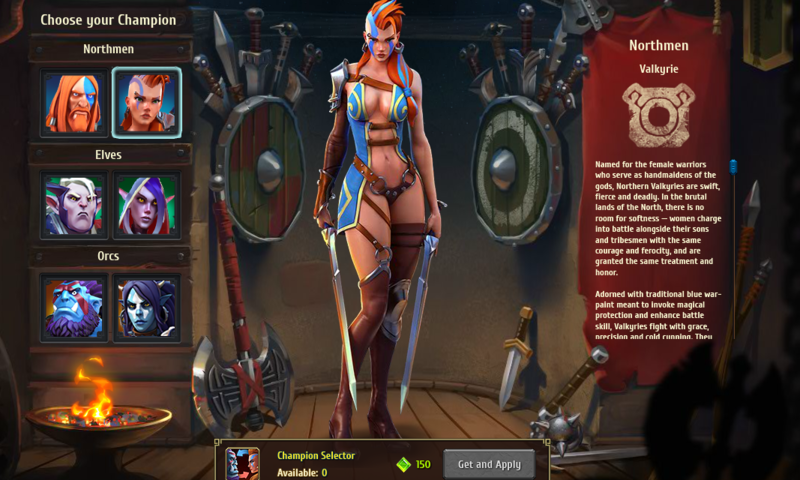 The game's originality comes from its modern sense of humor. Bjorn is one of the funniest characters I've come across in video games, in no small thanks to Patrick Warburton's vocal musings. The dialogue is sharp, witty and without a doubt a highlight in the game.